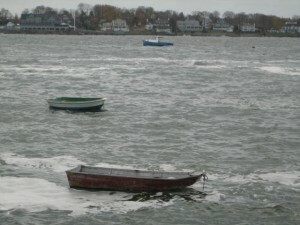 A winter sky hung over Marblehead Harbor on the morning of November 13th as the remnants of tropical storm Ida began pounding the New England coast. 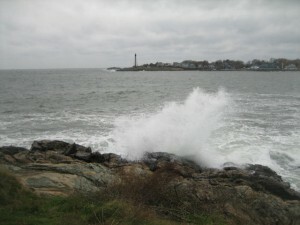 Although the worst weather is at least 24 hours away, waves crashed along the shore as a precursor of what was to come. 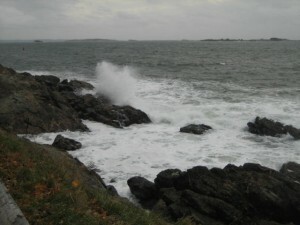 As the wind builds overnight, so will the seas. 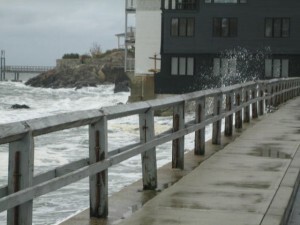 By tomorrow Front Street will be covered in rocks cast ashore by the waves. Today just some spray. 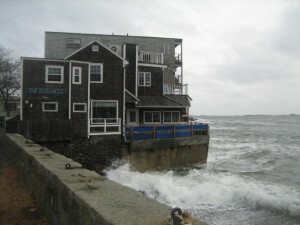 The Barnacle Restaurant will filled with patrons tomorrow for the food and the show– as the waves crash into the large plate glass windows. 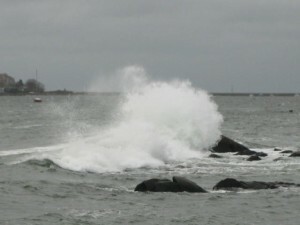 Although most of the boats are out of the harbor by this time, and most of the fishing boats have moved up harbor for protection, there are a couple boats riding out this storm in harm’s way. 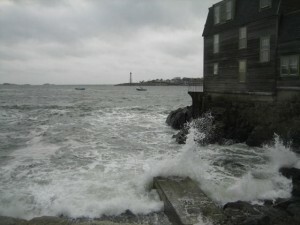 On a day like today, it is nice to be on shore. TWO MONTHS AND COUNTING. . .TO RELAUNCH! CULTURE SHOCK—BACK ON LAND! WHERE IN THE WORLD IS DESTINY? SAILING THE ICW. . .REALLY!